The comforts and conveniences of home come with you no matter where your journey takes you. Beautiful colors, tiling, countertops, woodwork and fixtures make the Seismic master bath a functional and comfortable retreat. With features like whole-house LED lighting, a painted front cap with blue accent lights and frameless, G20 dark-tinted windows make the Seismic a bold and eye-catching presence. Generous dual-pane tinted (optional) windows with MCD® roller day/night shades can allow loads of natural light in or can make for a private and relaxing escape after a long day on the trails. 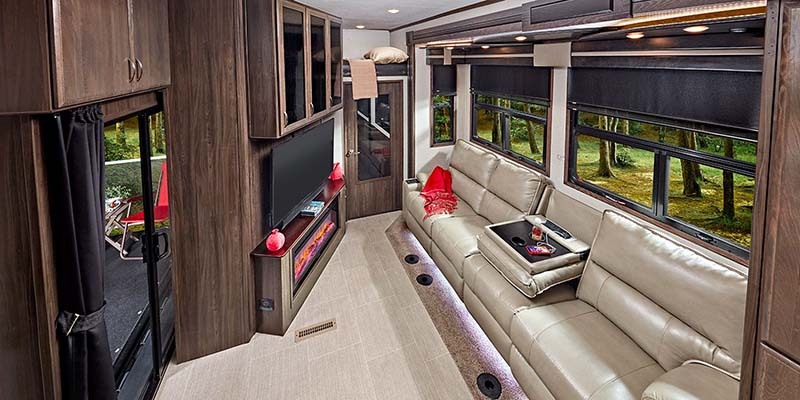 The 4212 Seismic’s side patio with a TV hookup expands the unit’s functional living area and provides yet another opportunity for enjoying the great outdoors. 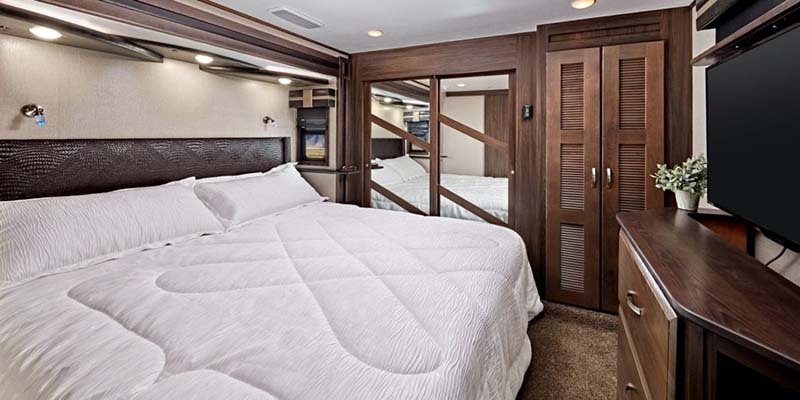 An optional king-size bed, walk-in closet, large TV, reading lights and MCD® roller day/night shades, you’ll feel like you rule the campground in the Seismic toy hauler. 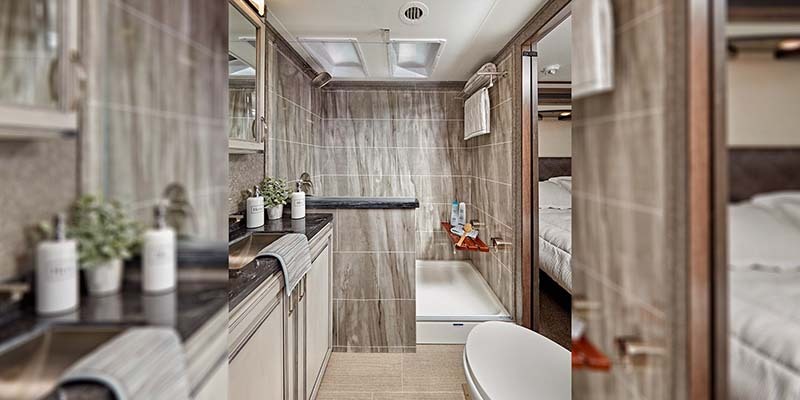 The Seismic’s main bathroom is truly lavish, with a residential-style walk-in shower, large skylight, power vent, generous storage and stylish décor. 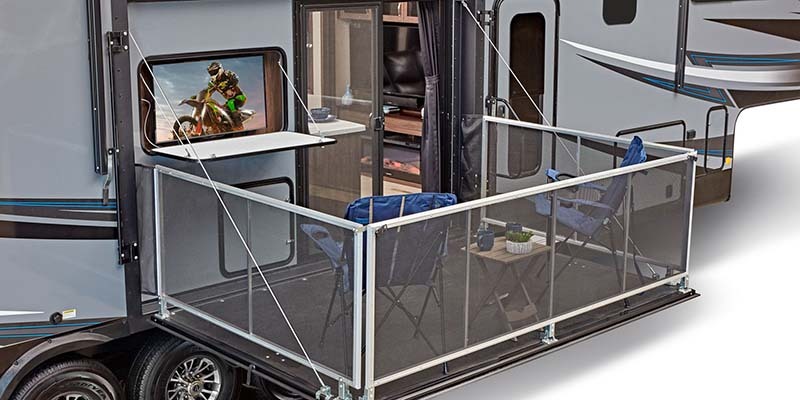 With options like a rear Party Deck with quick-set rails, entry steps and an electric awning, the exclusive Tailgater Camp Kitchen and standard electric side awnings with LED lights, your campsite will be at the center of the fun. 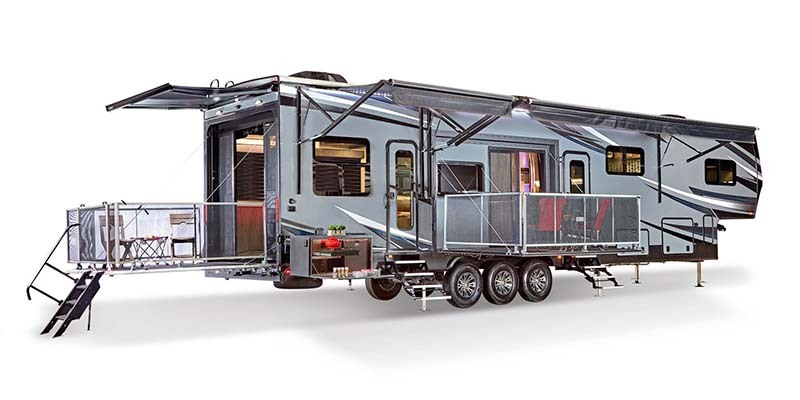 Most Seismic floorplans feature a second bathroom in the rear of the coach that’s easily accessible via the rear cargo area. The Seismic’s premium kitchen features a stainless, glass-top, 3-burner range, an oversized 21-inch stainless oven, an under-mounted, 50/50 stainless sink with two covers, a 30-inch microwave and residential refrigerator. 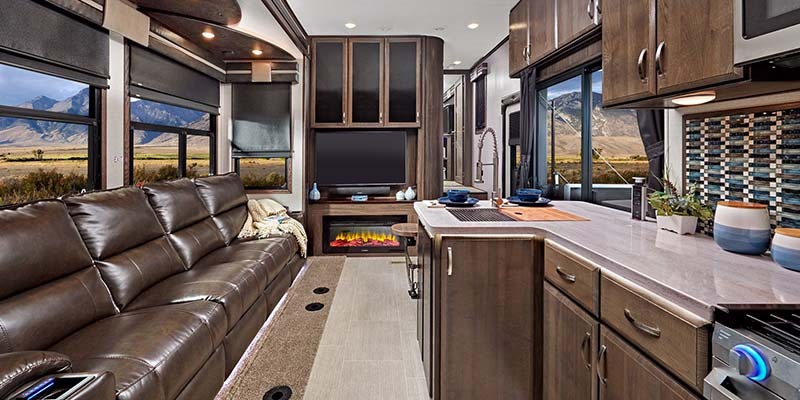 The main living area includes a residential sofa with heat massage, LED lights, folding backs, cup holders and USB/110V outlets plus an electric fireplace and 50-inch LED TV. 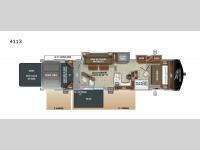 Careful detailing and expertly crafted woodwork make for a residential feel, while smart and generous storage spaces allow you to bring more of the gear you want with you.